Reef Tiger Classic Perpetual II watches have characteristics of classic and concise. 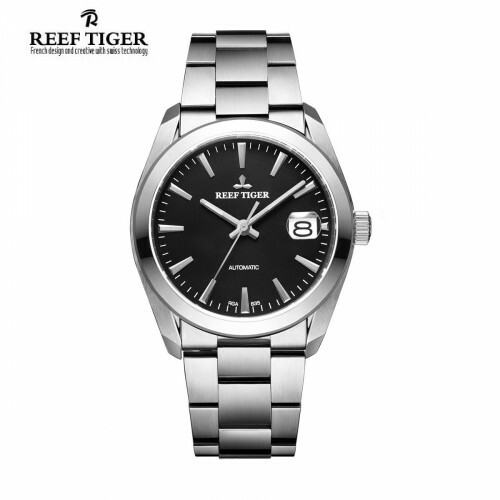 The watch has smooth line with simple and bright surface design to achieve Reef Tiger classic watches and charming. 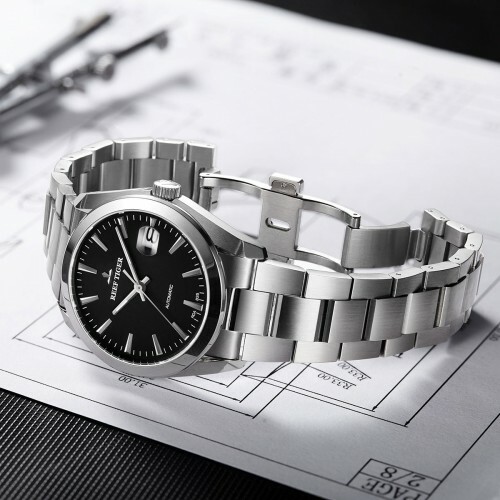 Perpetual watches use pure stainless steel design. Its delicate craft is appreciated and trusted by a lot of watch fans. All these bring a great large of loyal supporters for this type of watches. Noble water ripple dial is exquisite and vivid. After the wedge-shaped time scale is cut obliquely on four sides, it looks more shining.The date at 3 o’clock is with 2.5 times magnification. The other time scales are used side diamond cutting and brushed craft in the middle. As a bussiness wristwatch, simple and easy to read is the goal Reef Tiger has been pursuing all the time. The date display window at 3 o’clock brings a better feeling of wearing. With the Reef Tiger classic brushed luminous pointers, the watch is elegant and beautiful, which is much suitable for the graceful men to wear. Filling with Swiss luminous, it is to let you know the hours well even in dark. The second hand with stainless steel is to become the unique marker of the Perpetual II wristwatch. 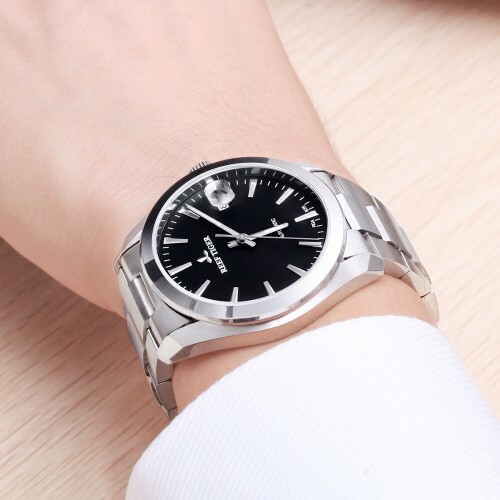 The watch with a Mohs rigidity of level 9 sapphire glass, which is corrosion and scratch resistant.In addition, it is plated 3um anti-reflective coating to make it clear and distinct.